Sent with only a Command and Service module, the mission is often considered one of NASA’s greatest risks of the space race. But there were other equally audacious lunar missions in the planning stages long before NASA had a viable mission with Apollo 8. As early as 1961, the agency considered sending men to the moon, and even landing them on the surface, with a Gemini spacecraft. 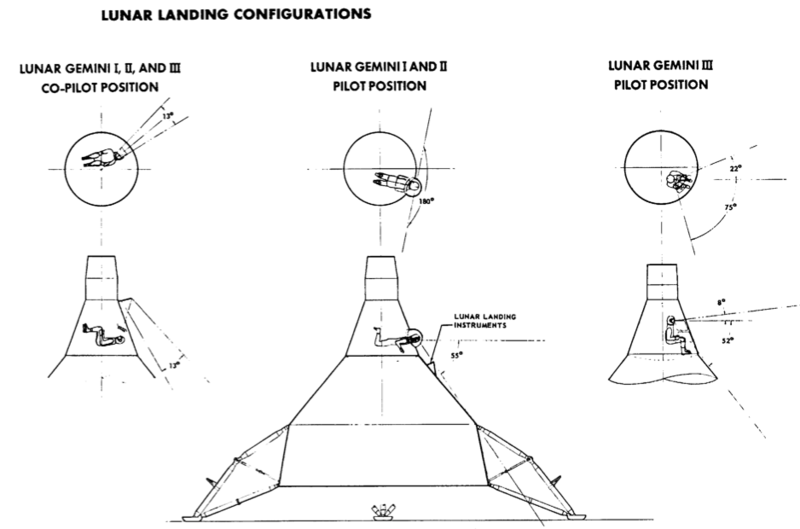 The mission mode outlined in the proposal was direct ascent, the leading contender for a lunar mission mode before lunar orbit rendezvous was selected for Apollo. Direct ascent took the fastest and simplest way to the Moon, launching directly from the Earth to a landing without any rest periods in either Earth or lunar orbit. The mode had the full spacecraft land on the Moon before relaunching towards Earth. While straightforward, direct ascent was an incredibly fuel-intensive method that allowed for almost no redundancies. At each stage, the crew would have limited opportunities to recover form any errors or slipped schedules. 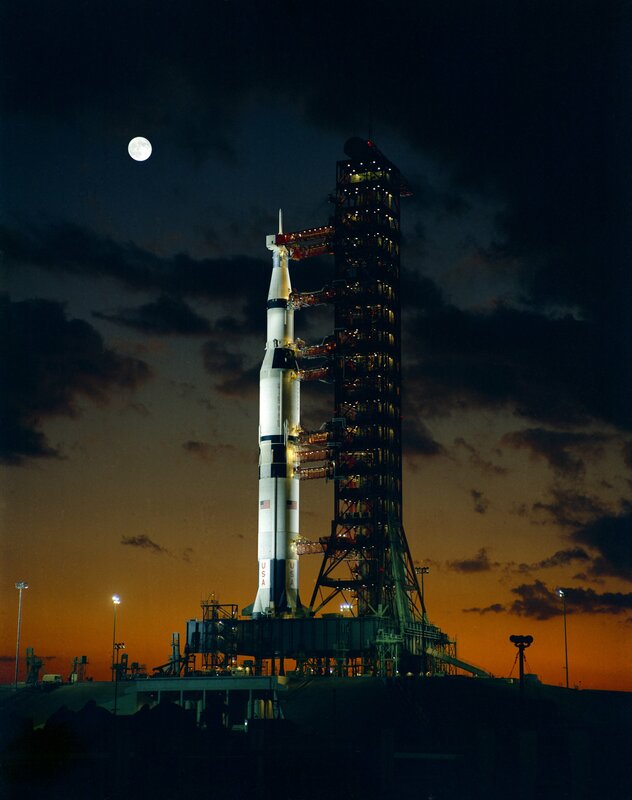 NASA’s then-latest Saturn C-5 launch vehicle, what became known simply as the Saturn V, would launch a two man Gemini crew on their fourteen day direct mission to the Moon. A nominal missions would take 60 hours to reach the Moon and 60 hours to come back; between these transit phases the crew would spend 48 hours on the lunar surface, 24 of which were a built in contingency for the crew to deal with any problems that might arise. The complete Moon-bound spacecraft was assembled sections. The conical Gemini spacecraft would be the main crew module, analogous to the Apollo Command Module (CM). This was the only habitable part of the spacecraft. Like the then-current design for the Gemini spacecraft, it would support the two-man crew for fourteen days. The CM would also contain the necessary hardware for the crew’s return to Earth — a heat shield for reentry and whatever landing system would bring them safely back to Earth. 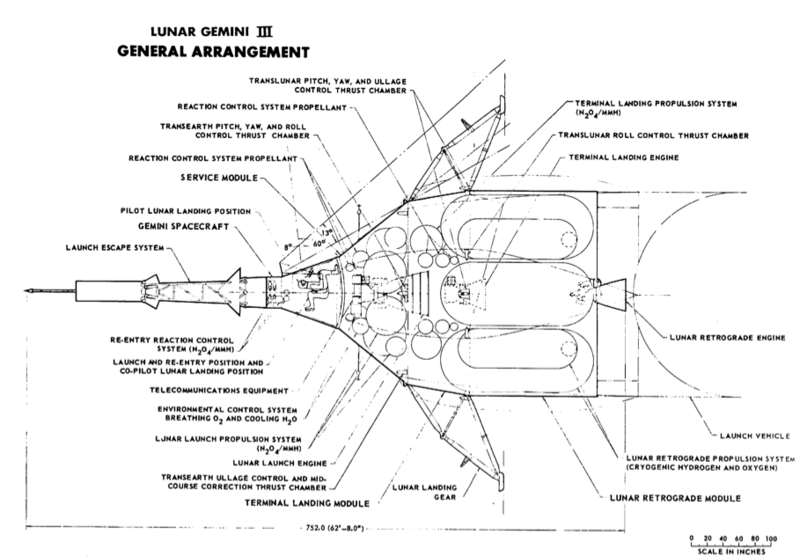 Lunar Gemini I and II, general arrangement. Credit: McDonnell Aircraft. Attached to the Gemini CM’s wide end was conical truncated Service Module. The SM would house the bulk of the mission’s environmental control, electrical, communication, and navigation equipment; only in the final phase of the mission would the CM switch to battery power. The SM would also store the bulk of the mission’s propellants — everything the crew would need to launch from the lunar surface and make any course corrections during their return to Earth. At the SM’s wide end was the Terminal Landing Module. The TLM, analogous to the Apollo Lunar Module’s descent stage, would house everything the crew would need to land on the moon. It would hold enough propellant for the crew to hover above the lunar surface and have sufficient directional control for them to move laterally in search of a suitable landing point. The TLM would also house the landing gear: four legs, each with three telescopic sections, would give the spacecraft forty0four inches of clearance from surrounding rocks. The legs were filled with an aluminum honeycomb that would absorb the weight of the spacecraft as it settled on the lunar surface. 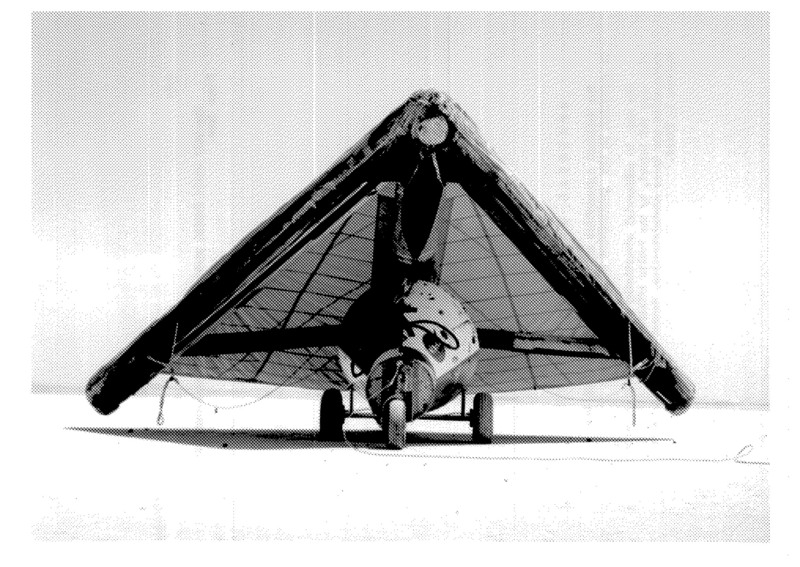 The overall design minimized the weight and length of the landing legs. Separating the lunar landing and launch modules was necessary. Using the same stage for both these phases was a poor choice since any damage incurred during landing could prevent the crew from launching. This was perhaps the more important redundancy built into the proposed mission, one that carried over into the Apollo Lunar Module’s separate descent and ascent modules. 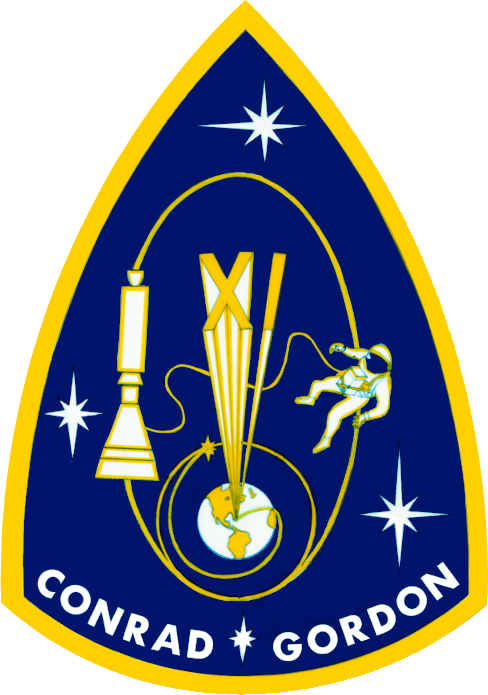 The sectioned design for the spacecraft facilitated a nominal mission. With each phase complete, the spent section would be jettisoned by the crew. As the mission wore on, the spacecraft would get smaller, lighter, and more manoeuverable, making each subsequent portion of the flight easier. 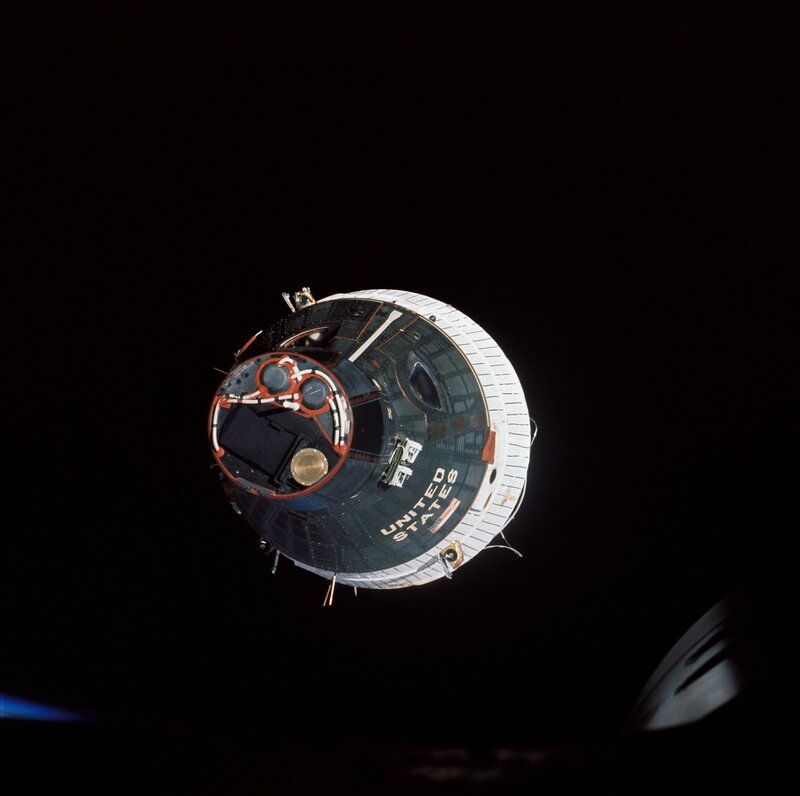 Eventually, the crew would left with just the Gemini module to return to Earth. The study proposed three different versions of the basic Gemini spacecraft that was already under being built in 1962: Lunar Gemini I, II, and III. Certain modifications were proposed to help the astronauts make a successful lunar landing. Gemini’s two half-moon shaped windows would remain unchanged. Additional mirrors outside the windows would increase the crew’s field of view. During lunar landing, the spacecraft’s hatch would be left open giving the crew a direct view of the surface; the cabin would be depressurized and a clear canopy would cover the opening to stop anything from blowing into the spacecraft. The commander would be in a prone position, looking down at the moon directly. He would also have a bubble canopy. Sticking his head out into this window would give him a full view of his surroundings. The return to Earth, Lunar Gemini I would use the Rogallo paraglider and the primary landing system. In this sense, it was identical to the then-current Gemini spacecraft. Lunar Gemini II was similar to Lunar Gemini I. It used the same basic Gemini structure and ejection seats for the astronauts for a launch abort escape system. When landing on the Moon, Lunar Gemini II would use the same configuration as Lunar Gemini I; windows, mirrors, and the transparent canopy covering the open hatch. 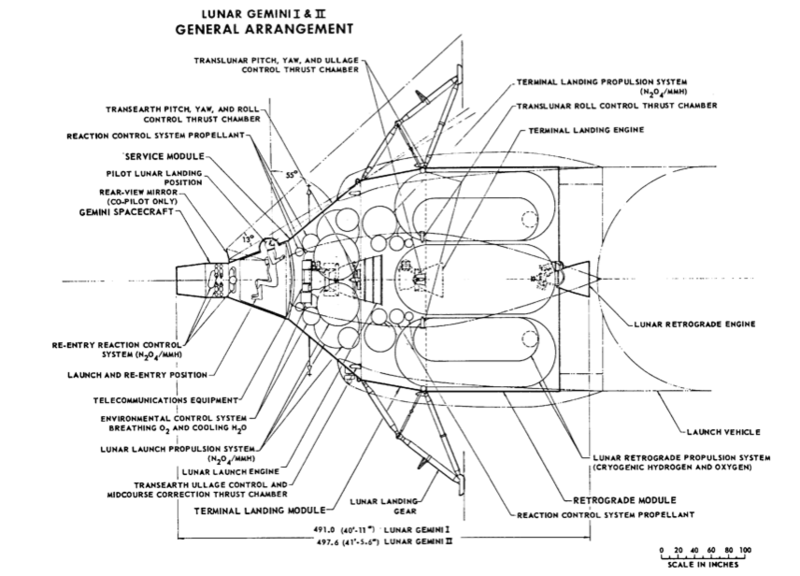 The proposed Lunar Gemini III had some major modifications from variations I and II. This model used an escape tower for abort ejections, like the system used on Mercury and later on Apollo. For the lunar landing, this spacecraft version would replace the transparent canopy with a large, flat window covering the hatch. In terms of hardware, Lunar Geminis II and III were most alike — both used hardware that was under development for Apollo in 1962. The sextants, for example, that were used for stellar navigation. The automatic sextant in Gemini I’s SM was replaced by a manual sextant in the Gemini CM on models II and III, the same that was later used on Apollo. The computer on each spacecraft was the same across the three Lunar Gemini variations. The Gemini computer had been designed for that spacecraft’s hardware. It was much simpler than integrating Apollo computer systems into Gemini configuration. As part of the report, McDonnell also considered a direct ascent flight profile with a modified two-man Apollo spacecraft based on the then-current three-man spacecraft. Modifications meant fewer displays and therefore less space and weight dedicated to life support systems; the freed space opened the spacecraft up for the necessary systems and hardware for a lunar landing. The idea of sending Gemini to the Moon resurfaced at various times throughout the spacecraft’s lifetime. The idea got as far on Congress, but NASA administrator James Webb killed it. If NASA was going to get any extra money for a lunar program, he said, it ought to go to the spacecraft specially designed to go to the moon, not towards refitting an Earth-orbital vehicle for a lunar flight. Terrific article! FYI, the rogallo landing configuration was seen as serious enough that Revell Models included landing skids as an option with their 1/48 Gemini model they released in 1964. And as to seeing a Gemini on the moon, check out the James Caan film, Countdown from 1968. There were some interesting political shenanigans associated with this mission, which I describe in my article. I’d love to find a recording or footage of Jerome Wiesner’s public argument with James Webb on September 11, 1962. External appearances aside, the design the Apollo CM was much more influenced by Mercury than was Gemini. 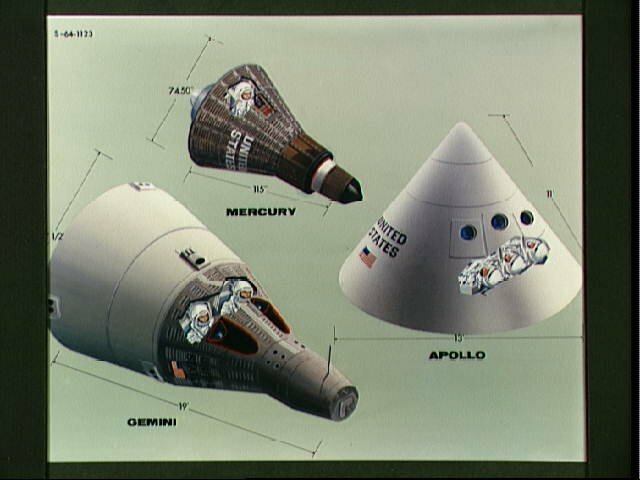 The original layout designs of both Mercury and Apollo was done by Max Faget of NASA. Two of the major similarities were the hatch configuration, a main side hatch; and a tunnel at the top of the spacecraft, and the installation of most of the equipment inside the pressure vessel which hampered serviceability. Gemini, on the other hand, was an ‘on spec’ design by McDonnell offered to NASA. They moved equipment outside of the pressure vessel to allow easier servicing, and the hatch configuration is completely different with one side hatch per crew member. I think you underestimate the degree of NASA input to the Gemini design. The Gemini capsule wasn’t called the “Gusmobile” for nothing. It’s because Grissom was assigned to work with MDAC to develop the vehicle, and his influence was pervasive. Initially Gemini was called Mercury Mark II and was much more akin to Mercury than to Apollo. It wasn’t even maneuverable when MDAC first offered it up; that was added after it became an Earth-orbital LOR training vehicle. The NASA-contractor relationship is almost always collaborative. Gemini’s dual-hatch system created issues. I interviewed John Young about Gemini spacewalks back in about 1996. He said he had to worry about sunlight falling on Collins’ ejection seat through the open hatch because there was a chance it would heat up and fire, blowing off both hatch doors. The hinged hatch mechanism also proved difficult to open and/or close on all the EVA missions. I’m working on an article now about a Mars ascent vehicle based on the Mercury subsystems approach, which the author, a Bellcomm engineer, found to be especially compact and, best of all, dedicated to one basic purpose (which like a Mars ascent vehicle). That Mercury was a relatively simple spacecraft might also account for its design. Yes I know that Gus had a lot to do with refining the Gemini capsule, but the Mercury Mark II proposal had been developed by McDonnell and James Chamberlin of NASA (formerly one of the Canadian Avro Arrow designers). The point is that unlike Mercury and Apollo, it wasn’t initially designed by Max Faget. Although Chamberlin worked for NASA, he was one of the main proponents that Gemini needed to be a re-design rather than Mercury with a few changes. This is what I alluded to before, Gemini was much more serviceable from the outside. Apart from the black shingles, as I said there are more differences between Gemini and Mercury/Apollo than similarities. Two hinged side hatches – Gemini an escape system to separate the capsule from the launch vehicle on abort, Gemini used ejection seats in conjunction with the individual hinged pilot hatches. The overall design of Gemini aka “Mercury Mark II” was well underway before, and pretty much finished by the time of Gus’ MR-4 flight. Grissom didn’t get involved with the Gusmobile until later in the process. As I indicated, and you have now acknowledged, Gemini wasn’t strictly an MDAC design. Similarly, Apollo and Mercury were not strictly Faget designs. Apollo and Mercury shared similarities, but these were accidental. Mercury always had the nose tunnel for post-flight egress; Apollo got its docking tunnel after the LOR decision. The Mercury tunnel was meant to be well above the waterline. The Mercury side hatch was for pad entry and emergency egress; the Apollo side hatch was for all forms of ingress/egress that didn’t involve docking. Furthermore, very early in the design process, Mercury Mark II had a nose tunnel. Grissom was involved in Mercury Mark II early on; beginning immediately after his MR-4 flight, well before NASA contracted with MDAC to build it in 12/61. Significant design work continued into 1964. 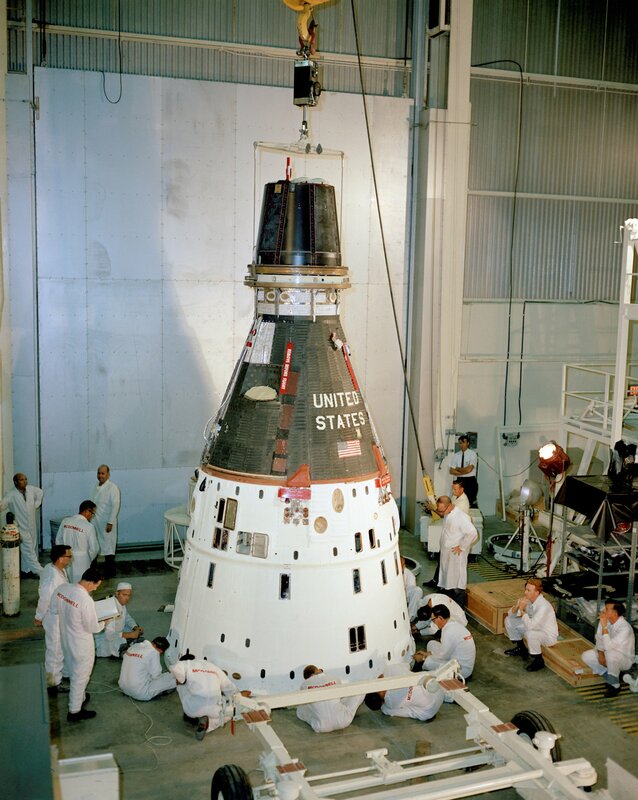 The spacecraft was sized for Grissom; a fact that taller Gemini astronauts found troublesome later. Basically, the three spacecraft (Mercury, Gemini, Apollo) all have some common features and some features that are different and some of the features are common but were included for different reasons. If one expands the capsule “menu” to include Russian spacecraft, one finds even more design approaches. 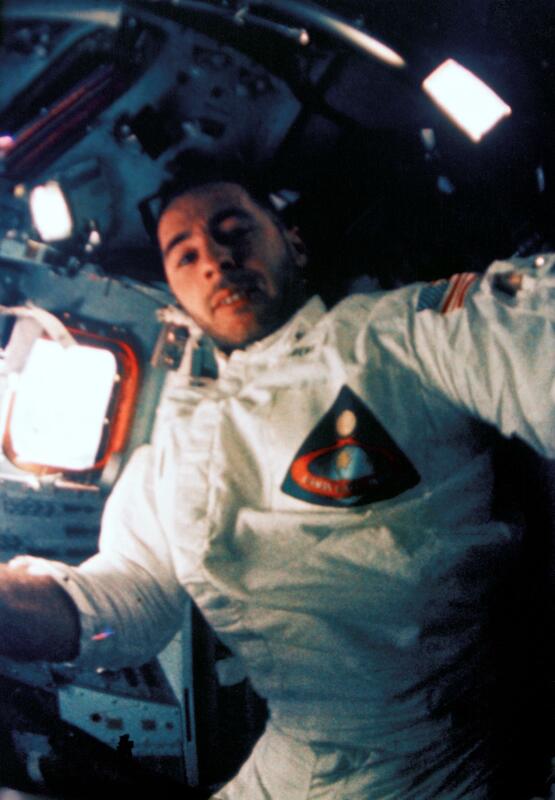 The Apollo approach – most systems in a Service Module, other systems in the capsule, accessible through the hatch – has been used most often. If anything, US capsule-type spacecraft evolved toward the Service Module approach that the Russians adopted from the start. Well this is what Harrison Storms (who managed both the Apollo spacecraft and the Saturn S-2 for North American) has to say about Faget’s ‘influence’ on the design of the Apollo CSM. The Apollo spacecraft design, started before any Mercury spacecraft flew and before the start of the design of Gemini/Mercury Mark II, which ran in parallel with it. The initial Gemini design was influenced by McDonnell’s experience with building, and maintaining the Mercury spacecraft which led to some important differences in the basic architecture of the two McDonnell build spacecraft. As to when the Apollo CM getting “its docking tunnel after the LOR decision” I don’t see any historical evidence for this, in fact just the opposite. 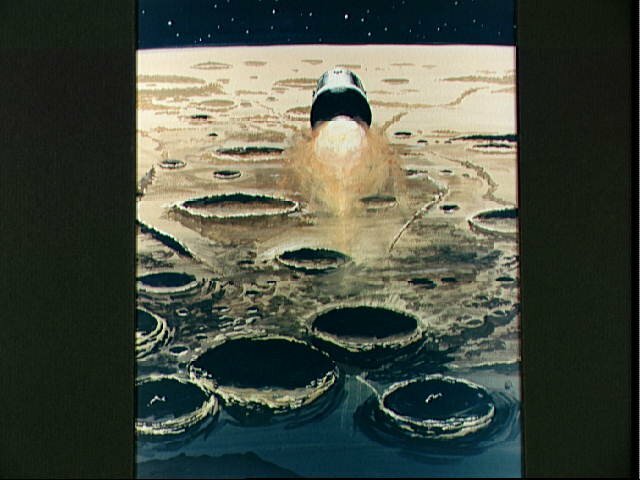 I believe that the docking tunnel was already there for the purposes of the manned laboratory mission which actually predated the lunar missions in NASA’s planning. Further down that page, in the “During the Month” (of April 1962) are the remarks to a change to the basic design configuration of the command module forward compartment to relocate two RCS engines to an area which would experience less heat flux during reentry, and a diagram showing a change to use honeycomb material at the heatshield for shock attenuation, and which already shows the docking tunnel. Von Braun’s change of MSFC’s recommendation to LOR didn’t happen until June 7, 1962, and the final decision was made by the Manned Space Flight Management Council on June 22, 1962. You say “In this respect, Gemini and Apollo were similar, though Gemini had more critical systems inside the capsule than did Apollo, and fewer inside its two “service modules.” which misses my point. The Gemini component which could be were located outside the pressurized crew compartment, so that they could be serviced from outside the spacecraft by removing outer ‘shingles’. Similar mainenance in Mercury and Apollo required the technician to enter the spacecraft, and often to remove one or more other components before getting to the one needing to be replaced or serviced. Mercury carried some consumables, primarily the H2O2 toroidal tank for the RCS fuel, outside of the pressure vessel, between the large pressure bulkhead behind the pilot and the heatshield. The Apollo CM also had tanks for consumables in the non-pressurized area around the base of the pressure vessel, for use after separation from the CM, but both the Apollo CM and the Mercury spacecraft carried the vast majority of electronics, and other equipment inside the pressurized crew compartment. While I’m sure that one or more early Mercury Mark II proposals had a nose tunnel, the fact that Gemini did not is an argument for less influence by Mercury on Gemini rather than less. In the early days of Mercury Mark II, the McDonnell guys working on the proposal were pushing back on pressure from NASA to “just” tweak Mercury for a two man crew and a longer mission. Comparing the three spacecraft as they were built and flown clearly shows that the design/architecture of Mercury and the Apollo CM, were much more closely related than the Apollo CM and Gemini. I guess I am missing your point, but I am sure you are missing mine. As I indicated, the various vehicles evolved in different ways and had a lot of different influences. It oversimplifies the situation to overstate any one source of influence when it comes to a complex design evolving in response to complex and changing demands. You also downplay the role of the Service Module, without which the Command Module could function for only a limited time. The role of subsystems external to the reentry component is critical, not something one can simply shrug off because it . I acknowledge that Gemini had external panels. But, as I said, Mercury simply couldn’t, because it was too small. Apollo had most of its critical systems in the Service Module. Recall what happened during Apollo 13. Apollo lacked external panels and shingles in part because of its lunar-return reentry speed, though as you know MDAC did studies of Gemini lunar missions and retained the shingles. Again, it’s complicated. You can’t pick and choose from the historical record to prove your point. Or, rather, you can, but it leaves you open to people coming along and pointing out the exceptions you ignore. Earth-orbital/circumlunar Apollo lacked any fixed docking system design or location – it wasn’t part of the SOW – though some of the contractors gave it a shot anyway. Apollo for Direct Ascent and EOR usually lacked a nose tunnel, though some art shows one. Some early LOR concepts had no tunnel, just like the Soviet LOK/LK architecture. I think that’s what you’re referring to above. I like model-building tips and am familiar with Mr. Weeks’ work (have you looked at Mike Mackowski’s stuff? ), but place more faith in primary source documents and conversations with the individuals involved in the programs (but mostly the primary source docs). I used to work with the primary docs that went into creating the APOLLO SPACECRAFT CHRONOLOGY when I was historian at NASA JSC in the early 1990s and when I was writing history on contract to NASA JSC and NASA HQ in the mid-to-late 1990s (up through 2001). The authors misinterpreted some things and left out a lot due to space restrictions. I wonder what you’d make of the huge multi-volume Shuttle chronology that never saw print officially – I was given the task of editing it down to something publishable, and did my best to come up with more important things to do. No one else ever took up that challenge. Shuttle design evolution was, I’m sure you know, even more complex than Apollo design evolution. Faget was involved in Shuttle evolution, too. How does Shuttle fit into your spaceship cladogram? One added detail – Mike Mackowski is the main author of the Space in Miniature series, not David Weeks. I knew there was something about your links that was throwing me off. I count both Mike M. and David Weeks as friends. David contributed a major portion to the Apollo volume as well as many of the illustrations most from official NASA documentation. He also did a lot of research into original source documents for his drawing sets. Looking back at the thread, I’ve offered several references to NASA documentation as well as Harrison Storms history of Apollo from the perspective of NAA. If you have other references to contradict this, rather than just memories, please share them. Memories, even of those who lived it, can be deceptive. 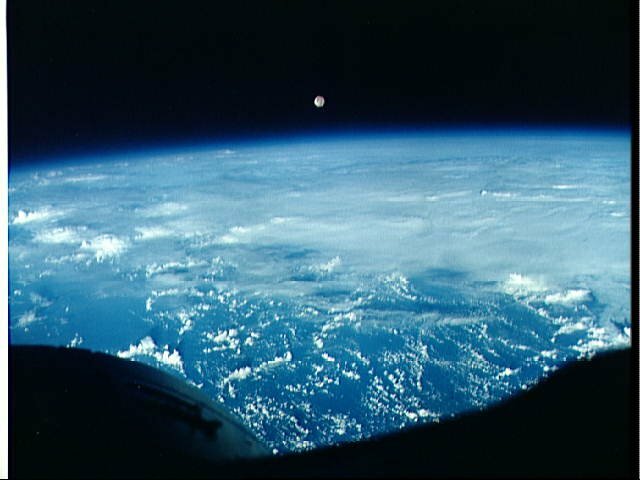 For example, Scott Carpenter talked about the earth path indicator in his Aurora 7 Mercury spacecraft (SC 18) in his memoirs “For Spacious Skies.” However, the official NASA documents, as well as the current condition of the spacecraft in the Chicago museum show that the EPI had been flown for the last time in John Glenn’s Friendship 7 (SC 13). I asked his daughter (and co-author) Kris Stoever about this, and she said that she had verified with him that it did have the EPI. When I followed up with references to the official documentation on SC 18, as well as photos of the spacecraft today, she came back and told me that he said “Oh, so Aurora 7 was spacecraft 18! I thought it was spacecraft 13.” In retrospect, Scott Carpenter probably spent more time in SC 13 in his role as Glenn’s backup pilot for MA-6 than he had in SC-18 after replacing Deke Slayton as the pilot for MA-7/SC-18. That said David Week’s observations on the similarities in structural design between Mercury and the Apollo CM, and their differences from Gemini are pretty obvious once you look at them from an engineering perspective. The chronology shows that the Apollo layout was done earlier than Gemini, and that McDonnell fought to do more than just enlarge Mercury to a two-man vehicle but rather to use the examples from Mercury to drive needed changes from the Mercury design based on experiences building, and maintaining the spacecraft. Providing examples of how the basic spacecraft design could be changed to be better was the real influence of Mercury on Gemini. Yes, you’ve offered sources that support your point of view. I offer “memories” (knowledge would be a better word) because I do space history all the time. It’s my job, and has been for 30 years. I’ve been all over the source documents, and I can tell you that you are oversimplifying the relationships between Mercury, Gemini, and Apollo. You’re also leaving out connections with X-15, some of the unmanned programs such as Corona/Discoverer, and unflown designs. Please look back over my posts and think about what I have written. Mercury and Apollo are very different in many respects, and Gemini is different from both. When their designs were developed matters less than how they developed. This reminds me of arguments over how much X-15 influenced the Space Shuttle design. The answer is, not much. That is, it did, obviously, but there were plenty of other influences, too. If one states the issue in such a way that only X-15 and Shuttle are considered, and one focuses entirely on similarities without understanding the heritage of those similarities, and one excludes the differences as unimportant without looking at where those differences came from – well, you can see where I’m going here, I expect.